Teenage bedroom can really be tricky. They are starting to change and learning to make their own decision including designing their own bedroom. The old pink or fairy design for the girls and animated design for the boys will immediately be thrown out because at this point of their age nowadays, they outgrow these kinds of things. For teen bedroom, it is smart to choose something timeless and neutral color for the furniture so whatever their age or their mood, they can still appreciate the design of their bedroom. 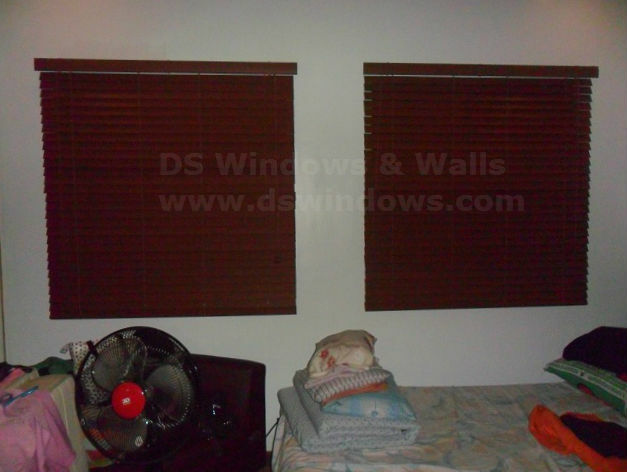 Our client in Pasig City opted for Faux Wood Blinds with darker color for their teen children. Their children chose a simple and safe window cover that will go to any motif design. Faux Wood Blinds can easily pair to modern, punk or retro design that most kids today likes. 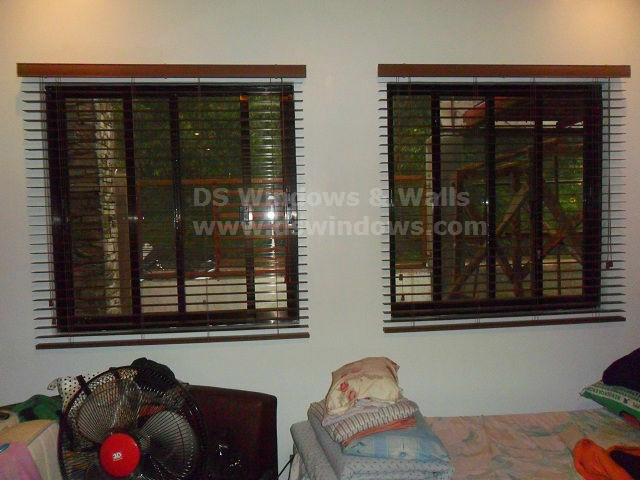 For more information about DS Windows & Walls, please don’t hesitate to call us at (02) 893-1373 / (02) 403-3262 / 0916-311-3909 or email us at inquiry@dswindows.com. You can personally see our sample products and swatches at 4th Level Waltermart, Makati City, 3rd Level Robinsons Metro East, Pasig City and 2nd Level Pacific Mall, Lucena City.